/ 5 Reasons Why Choose Dwarf Barberry for Your Home. This is Exciting! Dwarf barberry comes in a blend of deep red and burgundy leaves. Hence, the other name crimson pygmy or crimson pygmy Japanese barberry. Its red color definitely shines brightly in the sun, especially during fall. Don’t you want a different color for a change? Since it is not common, of course, you would! Care and maintenance are important considerations when choosing plants to add to any home landscape or backyard garden. In the selection of dwarf barberry, there’s no worry. That’s another reason why this makes a good choice for any garden. On average, this barberry plant grows about 1 and 1/2 feet tall and spreads up to 3 feet wide. The growth rate per year ranges from 4 inches to 6 inches or 1 foot. It doesn’t matter how limited the space of your outdoor area is. A couple of shrubs can work because of its small size and slow growth. Dwarf barberry needs the sun for growth and extra nourishment. Experts suggest this to be planted outside where it can be exposed to full sun to partial shade. Its burgundy color gleams much better in full sun though. Aside from the sun, watering this shrub is a must. You need to frequently supply water after its successful planting for the first few weeks. This is needed to ensure it produces a healthy root system. You can reduce the amount of water during its first growing season from once to twice a week. But during summer or hot and dry days, increase your watering. One thing to keep in mind is that this plant doesn’t do well in limey soils. It is also not recommended to grow in a soil that gets flooded several times a year. Choose slightly moist and well-drained soil instead. It also works in moist, loamy soil as well as heavy, clay soils and dry, shallow soils. For better propagation, take cuttings during summer. These should be rooted in moist soil as well. When pruning, it needs to be trimmed once in the winter and in spring after flowering. 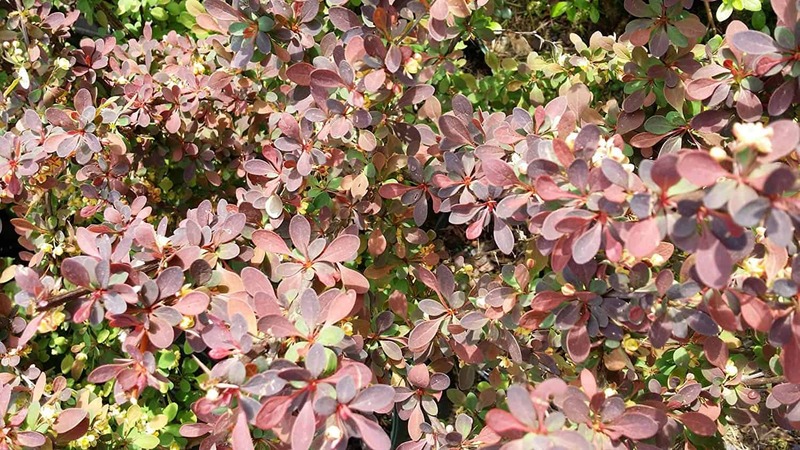 Unlike other plants, this barberry bush makes your garden look more unique and attractive. It can cause attention even on a glimpse. There’s no doubt that this natural shade of the plant stands out among other plants. Although it doesn’t bloom flowers all the time, the leaves look like petals creating a foliage effect. In truth, however, the clusters of leaves produce small white flowers. If you zoom in or get close to it, you’d know what I mean. You can get a pot of dwarf barberry or two (or even more) at a very affordable rate. Depending on the store retail pricing, growth size and other related factors, this usually ranges from $5 to $20. You may also see some offering from $30 to $50. It is not that expensive at all right compared to the other bushes that cost around hundreds of dollars. If you’re lucky, just get some cuttings for free from someone you know. 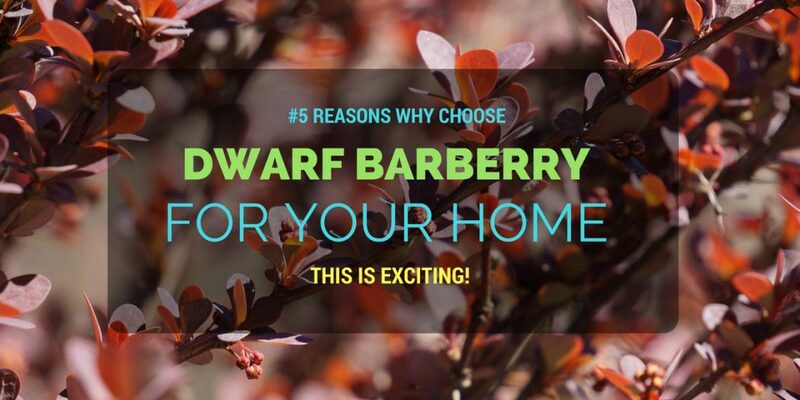 So there you go - the reasons why you should get some dwarf barberry for your home now. -*This set is helpful in making your gardening more practical and manageable. -* Create a line surrounding the shrubs for a better view. White is a good choice so you have the option to paint them in colors you like.